139 This was Tuesday, 4/16. 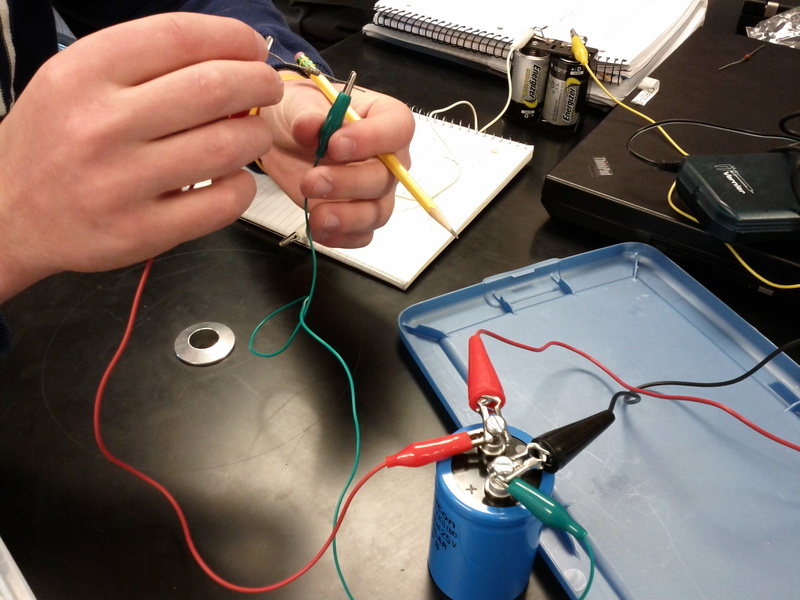 The AP class was determining the relationship between the magnetic field strength and distance from a long current-carrying wire. Almost all of my photos turned out blurry. I am not sure what I had messed up in my phone’s camera settings. 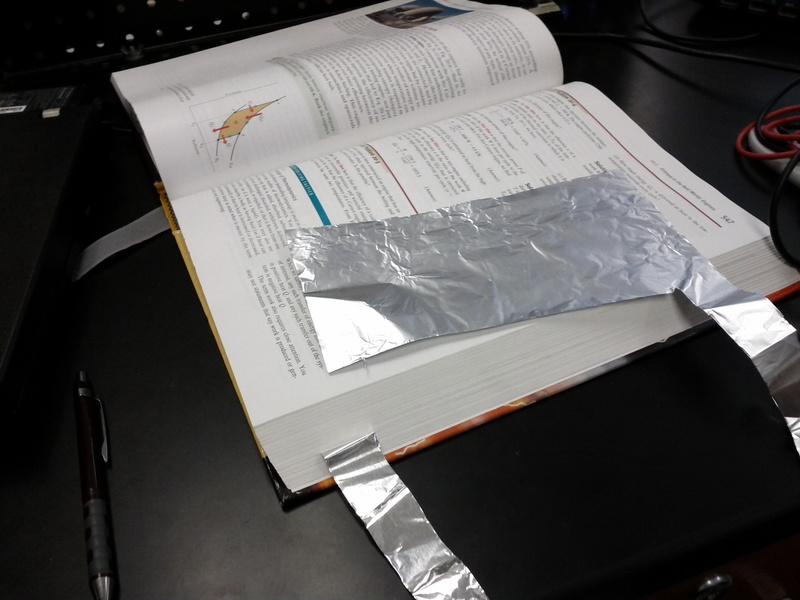 114 The AP class is making capacitors out of aluminum foil placed between the pages of books. 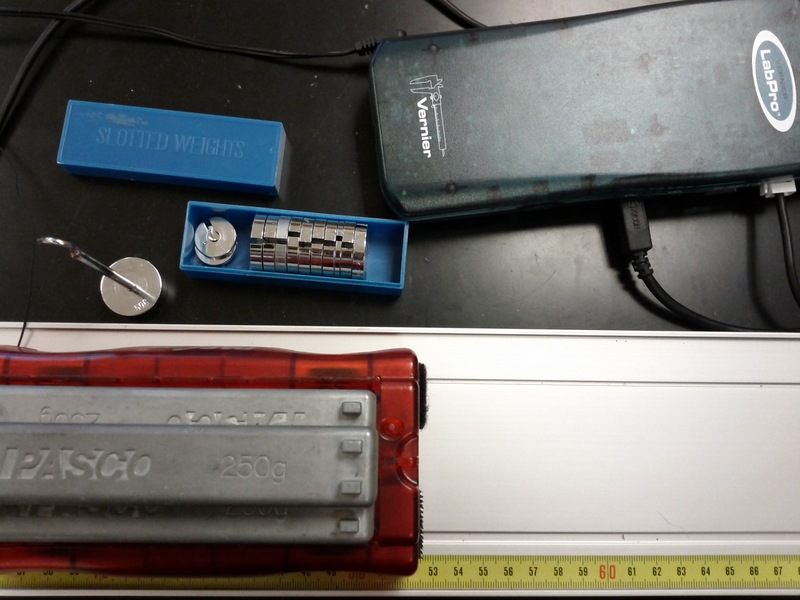 We are hoping that the capacitance is proportional to area, inversely proportional to the distance between the plates, and we also hope to determine the dielectric constant of textbook paper. 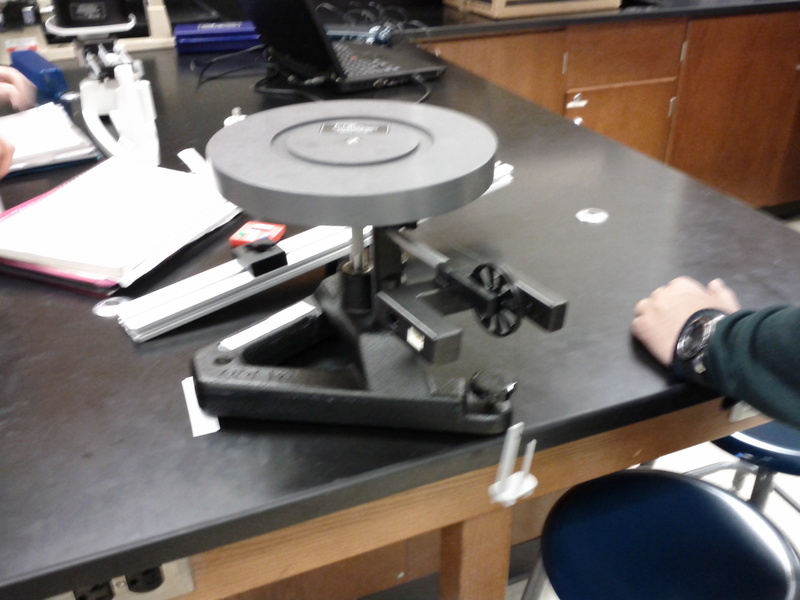 91 Wednesday’s experiment involves determining the moment of inertia of a disk. It will also be placed vertically to be spun around a diameter. 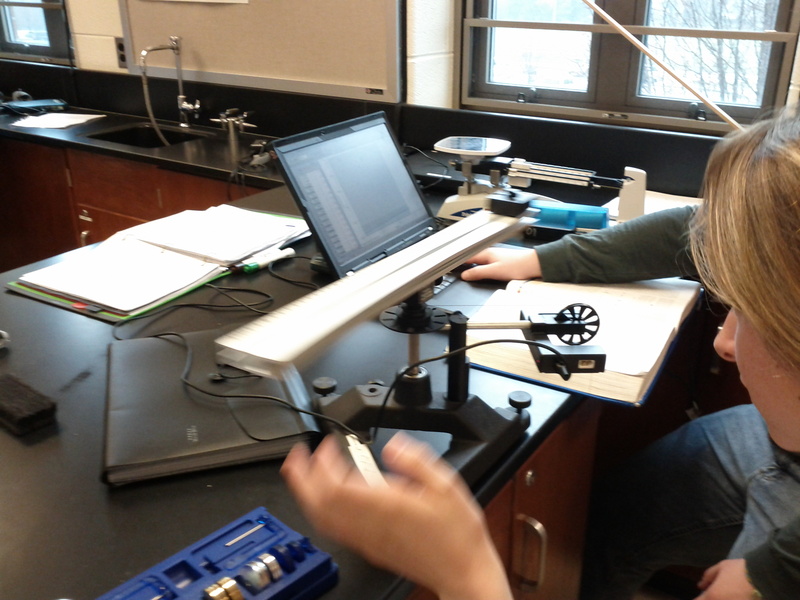 90 We finally got in our moment of inertia equipment, paid for by the PTO’s Mini-Grant program. I actually have enough equipment for every group! 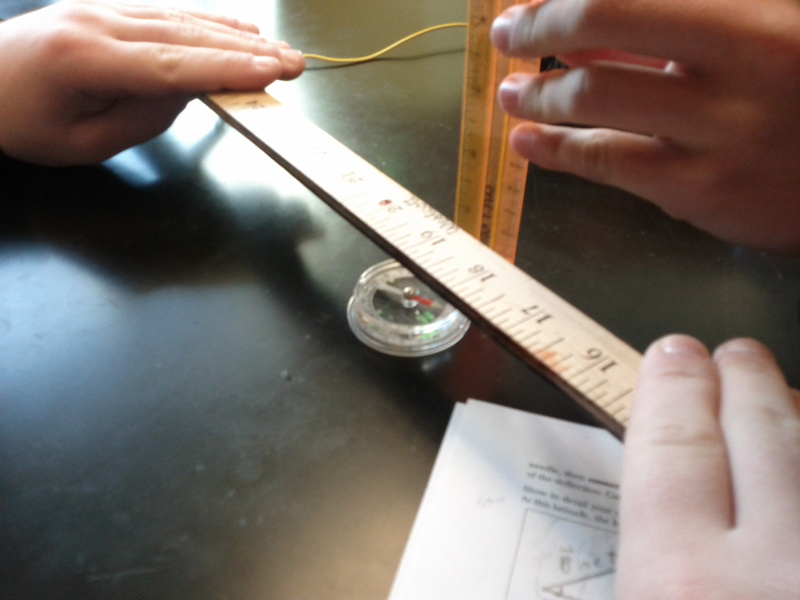 Tuesday was the day for moment of inertia of a point particle. 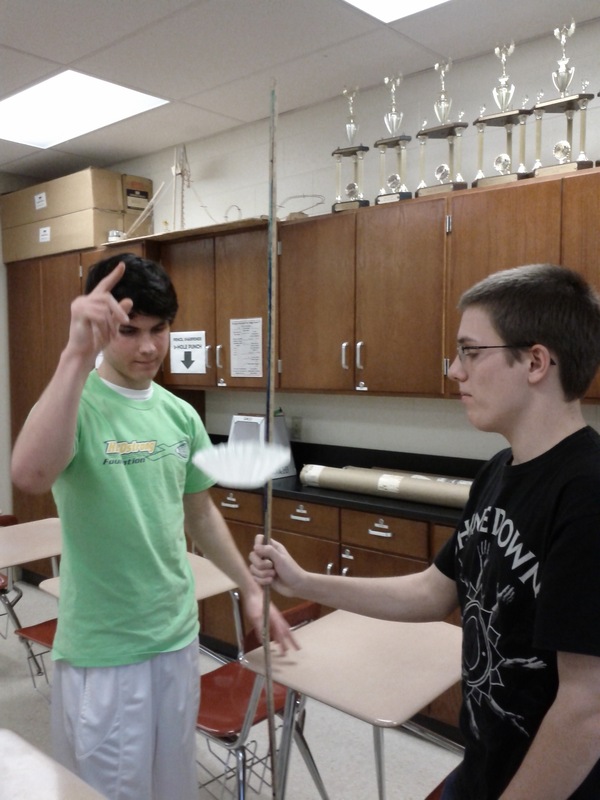 74 My 5th period class had some great results from their practicum with the coffee filters. One group got a time only 0.04 seconds off their “given” time, and another group (shown above) got only 0.01 second off their “given” time! Wow! 72 Starting off the new year with a lab. 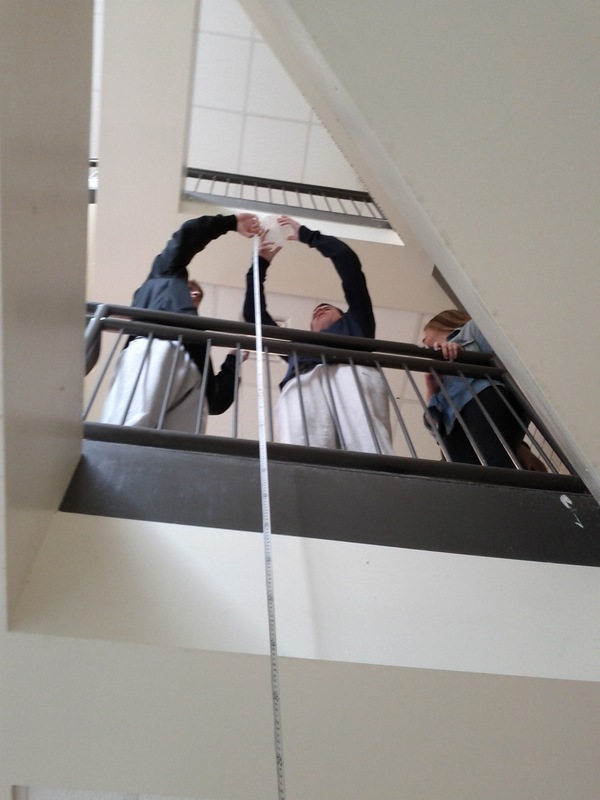 This is a coffee filter drop lab, in which students model the motion of a coffee filter from data they take in class, then they predict how high they would have to drop it from in order for the filter to take a given amount of time to hit the floor. The tricky bit is the room is less than 3 meters tall, and invariably they calculate a height greater than 3 meters (I’m sneaky about how I pick the “given” times). We have to go out to one of the stairwells to test the prediction. 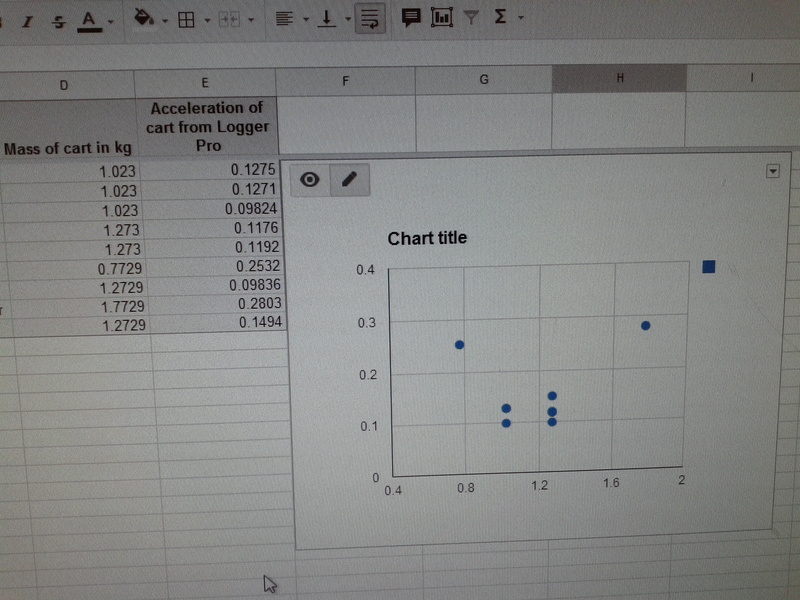 A good model results in a drop time within 0.1 s of the given time.